He is denied entry indefinitely because of Russia. 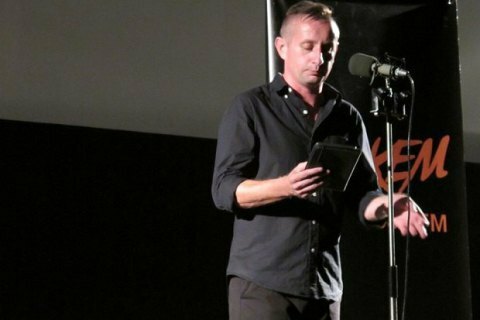 Ukrainian poet Serhiy Zhadan has said on Facebook that he was detained in the Belarusian capital Minsk without explaining the reasons. He said that at around 2 a.m. he was visited in his Minsk hotel room by police who took him to the station. In a while, the officers found him in a database of personae non grata in Russia over their "terrorist activities". "And since Belarus and Kazakhstan are in the same visa zone with Russia, this ban automatically applies to then. And if I can live with not being able to come to Kazakhstan, I feel offended for Belarus. I had to spend the night in a cell. In the morning, they had me to write some explanation for quite a while, asked me about terrorism. After all, they put a stamp that I'm banned from entering Belarus indefinitely," he said. He called on the Ukrainian Foreign Ministry and the Ukrainian embassy in Belarus to react to the incident. On 1 February, Vitaliy Syzov, a journalist with Hromadske Donbas TV, got briefly detained in Belarus and told to leave under a similar scenario. Last spring, Ukraine's representative at the Minsk talks on a Donbas settlement, Iryna Herashchenko, had problems entering Belarus because of Russia.